FAR HILLS, NJ (September 19, 2018) – Sending a strong message to state policymakers, a new survey of the state’s registered voters conducted by The Fairleigh Dickinson University Poll for ReThink Energy NJ found that 66 percent do not consider natural gas to be clean energy, an astounding 23-point increase since 2016, and that three of every four want New Jersey to achieve a goal of 100% of energy from renewable sources by 2050. “As the Murphy Administration develops a new Energy Master Plan to achieve 100 percent clean energy, it is clear that most New Jersey voters do not think natural gas is clean and want the state to move to renewable energy like wind and solar,” said Tom Gilbert, campaign director, ReThink Energy NJ and New Jersey Conservation Foundation. 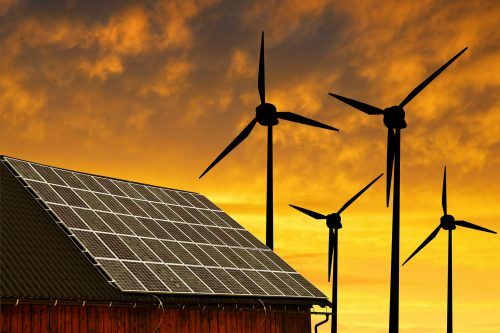 Seventy-five percent of those surveyed said the state should be investing in more renewable energy sources rather than fossil fuels and pipelines. Two out of three (66%) said they are willing to pay $10 or $15 more per month for solar or wind energy in order to reduce emissions. More than half of New Jersey voters (58%) say our state is moving too slowly to adopt renewable energy. Solar, more than natural gas (44% to 26%) is viewed as most important to the state’s energy future, and 74 percent support the development of offshore wind as a source of energy. Two-thirds (67%) said the jobs created by pipelines are not worth the environmental and health risks, and the state should instead create jobs through clean, renewable energy projects. Sixty percent said they disagree with the federal energy policy that favors fossil fuels, while over seven in ten (73%) said New Jersey should set its own course by investing in renewables. “By overwhelming percentages, voters recognize the serious risks that pipelines pose to the residents of our state and want the state to focus on develop clean, renewables sources of energy,” Gilbert said. The telephone survey of 735 randomly-selected registered voters was conducted by Fairleigh Dickinson Poll for ReThink Energy NJ between August 30 and September 4. View the full report here. All polls from previous years can be viewed here.